Moderate spread collar with permanent collar stays. Convertible button cuff to French cuff. 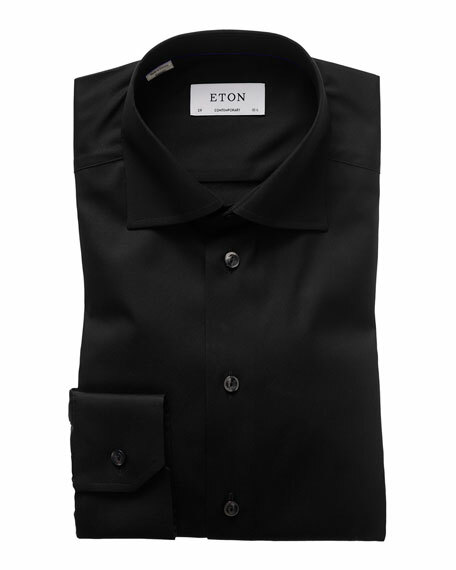 Eton has crafted fine men's shirts since 1928. The original factory and headquarters remain in Ganghester, Sweden, where their very first shirts were sewn. Evolving from Swedish craftsmanship and attention to detail, Eton is today a global leading shirt maker. 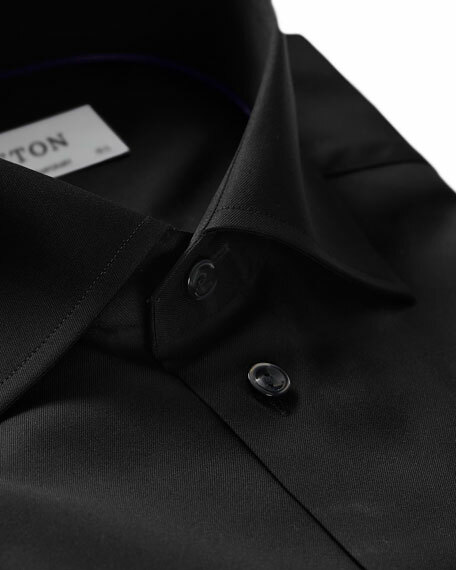 Eton's finishing process uses a proprietary crease-resistant treatment that ensures the shirts remain breathable, moisture absorbent and retains a comfortable feel even after washing. There are approximately 45 parts in a shirt and each shirt is crafted by 75 pairs of hands. BOSS Hugo Boss dress shirt in solid structured weave. Spread collar; button front. French cuffs; cuff links not included . BOSS Hugo Boss dress shirt in solid structured weave. Spread collar; button front. French cuffs; cuff links not included . Slim fit. Cotton. Imported. 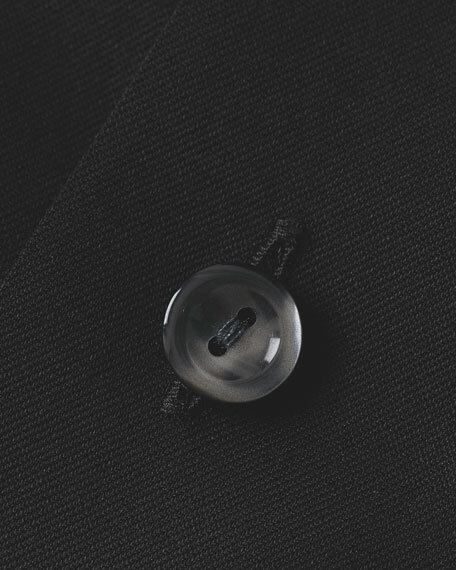 Brioni Wardrobe Essential dress shirt. Point collar; French-placket button front. Rounded barrel cuffs. Shirttail hem. Cotton. Handmade in Italy. Dress shirt in micro-neat weave. From the Impeccabile Collection: Contemporary fit, made from naturally crease-resistant fabric. Spread collar; French-placket button front. Rounded barrel cuffs. Shirttail hem. Modern fit. Cotton. Made in Italy. Please note: Cuff links, shown, are not included. Dress shirt in tonal tattersall check. From the Impeccabile Collection: Contemporary fit, made from naturally crease-resistant fabric. Spread collar; French-placket button front. Rounded barrel cuffs. Shirttail hem. Modern fit. Cotton. Made in Italy. Please note: Cuff links, shown, are not included.